It’s our commitment to be a global leader dedicated to transforming patients’ lives with breakthrough medical technologies. We aspire to excel as a trusted partner through distinguished quality and integrity, fostering an inclusive culture where all employees grow and thrive, and inspire passionate engagement that strengthens our communities. The strides we've made and the culture we've created are both highly regarded and recognized. Below is a selection of awards and recognitions we have received. 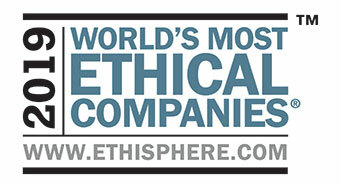 For the third consecutive year, Edwards Lifesciences was honored as one of the 2019 World’s Most Ethical Companies® by the Ethisphere Institute, a global leader in defining and advancing the standards of ethical business practices. Edwards was one of only two companies recognized in the medical devices industry and honorees profoundly illustrated how companies continue to be the driving force for improving communities, building capable and empowered workforces, and fostering corporate cultures focused on ethics and a strong sense of purpose. In 2019, 128 honorees were recognized, spanning 21 countries and 50 industries. 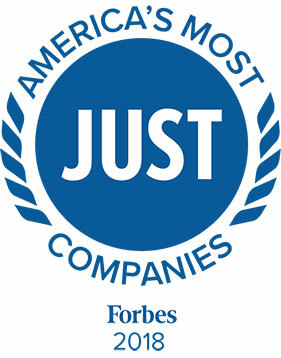 Edwards Lifesciences was honored once again by being named one of America’s Most JUST Companies, according to Forbes and JUST Capital, a nonprofit that ranks the largest publicly traded corporations in the United States on the issues Americans care about most. Edwards ranked #3 in our industry and #46 overall out of 890 for America's best corporate citizens. Edwards was recognized for outperforming its peers on the criteria deemed to be most important, including ethical leadership and value creation, global community support, environmental impact, worker pay, customer treatment and more. 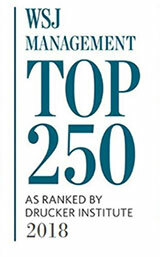 In 2018, Edwards Lifesciences was named as one of the Management Top 250 by the Wall Street Journal in partnership with the Drucker Institute. 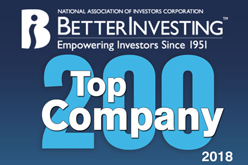 Edwards was listed #39 out of 752 companies ranked. These rankings are focused on U.S. companies that are traded on the NYSE and evaluate which are most effectively navigating the current business climate and serving their workers, customers and shareholders. Within this list, Edwards was also cited as one of the “7 Companies That Do Everything Well” achieving high marks in all five dimensions of corporate performance: Customer Satisfaction, Employee Engagement and Development, Innovation, Social Responsibility and Financial Strength. Our CEO, Michael Mussallem, was honored as one of the Best-Performing CEOs in the World in 2018 by the Harvard Business Review. 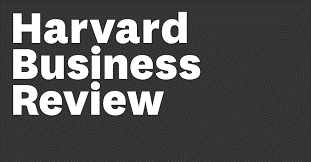 This ranking relies on objective performance measures over a chief executive’s entire tenure. Of 881 CEO’s reviewed, Mussallem was listed at #15 based on financial and non-financial metrics, such as total shareholder return, increase in market capitalization, and environmental, social and governance metrics. “We think it’s important to recognize leaders who are delivering strong financial performance and creating sustainable businesses over the long term – not just quarter to quarter,” said HBR Editor in Chief Adi Ignatius. The World’s Most Innovative Companies list consists of firms that investors feel are most likely to come up with the next big innovation, as determined by a formula developed by Professors Jeff Dyer of Brigham Young University and Hal Gregersen of MIT. Companies are ranked by their innovation premium: the difference between their market capitalization and the net present value of cash flows from existing businesses (based on a proprietary algorithm from Credit Suisse HOLT). The difference between them is the bonus given by equity investors on the educated hunch that the company will continue to come up with profitable new growth. To be included on the list, firms need seven years of financial data and $10 billion in market cap. In 2018, Edwards Lifesciences ranked #55. A no-cost workplace wellness accreditation program established in 2006, the CEO Cancer Gold Standard™ is the first initiative championed by the CEO Roundtable on Cancer. Edwards Lifesciences was recognized as a Gold Standard in 2018. The Gold Standard provides a framework for employers to have a healthier workplace by focusing on cancer risk reduction, early detection, access to clinical trials and high-quality care. All of the requirements of the CEO Cancer Gold Standard are based on scientific evidence, and the program is carefully reviewed annually to ensure that it remains comprehensive and up to date. 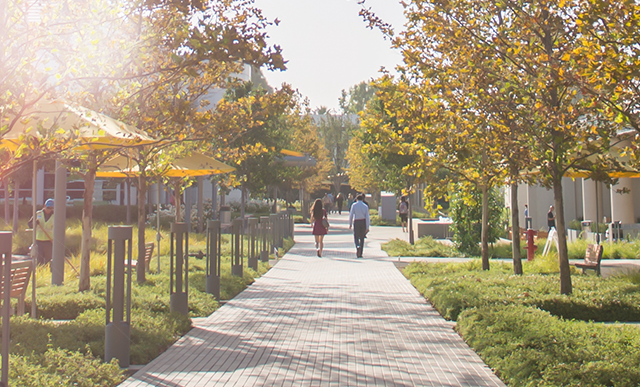 For 19 years, Corporate Responsibility Magazine has recognized the standout environmental, social and governance (ESG) performance of public companies across the United States with the 100 Best Corporate Citizens ranking. 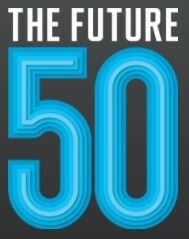 The 100 Best Corporate Citizens List documents 260 ESG data points of disclosure and performance measures — harvested from publicly available information in seven categories: environment, climate change, employee relations, human rights, governance, finance, and philanthropy & community support. The list ranks the Russell 1000 Index. In 2018, Edwards Lifesciences ranked #85 overall. The Dow Jones Sustainability Indices (DJSI) are a family of best-in-class benchmarks for investors who have recognized that sustainable business practices are critical to generating long-term shareholder value and who wish to reflect their sustainability convictions in their investment portfolios. The family was launched in 1999 as the first global sustainability benchmark and tracks the stock performance of the world's leading companies in terms of economic, environmental and social criteria. Only the top ranked companies within each industry are selected for inclusion in the Dow Jones Sustainability Index family. Edwards Lifesciences was added to the DJSI North America Sustainability Index in 2017. FTSE Russell (the trading name of FTSE International Limited and Frank Russell Company) confirms that Edwards Lifesciences has been independently assessed according to the FTSE4Good criteria, and has satisfied the requirements to become a constituent of the FTSE4Good Index Series. Created by the global index provider FTSE Russell, the FTSE4Good Index Series is designed to measure the performance of companies demonstrating strong Environmental, Social and Governance practices. The FTSE4Good indices are used by a wide variety of market participants to create and assess responsible investment funds and other products. Edwards Lifesciences is a member of the FTSE4Good Developed Index and the FTSE4Good US Select Index. E&S Disclosure QualityScore measures and identifies risk in environmental and social areas of concern through thorough analysis of company disclosures. Scores can also indicate best-in class disclosure practices and save time in performing peer comparisons. E&S Disclosure QualityScore uses a numeric, decile-based score that indicates a company’s risk. Overall Environmental and Social scores indicate a company’s risk relative to their peers in their industry. A score in the 1st decile (pillar score: 1) indicates relatively better quality Environmental & Social practices and relatively lower Environmental & Social risk, and, conversely, a score in the 10th decile (pillar score: 10) indicates relatively higher Environmental & Social risk. In 2018, Edwards Lifesciences received a Pillar Score of 1 in both Environmental and Social disclosure. 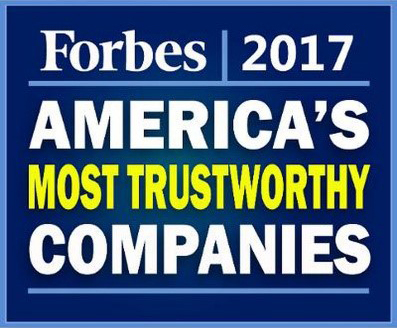 In 2017, Forbes named Edwards Lifesciences as one of America’s Most Trustworthy Companies, the only advanced medical equipment company in the large-cap category. Each year, Forbes takes a look at the companies that rate the most trustworthy, based on accounting and governance practices analyzed by MSCI ESG Research. In 2017, Edwards Lifesciences ranked among the 200 most popular and widely held stocks by active club investors in today’s equity market, according to the National Association of Investors Corporation. Edwards ranked #148 with investment clubs holding shares worth more $3 million at the end of 2017. Since 1951, BetterInvesting has helped over 5 million people become better, more informed investors. 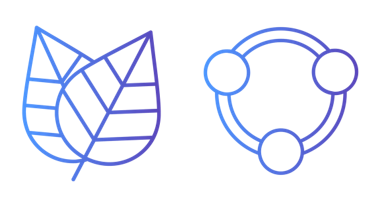 Its mission is to provide programs of sound investment information, education and support to help individual investors take control of their financial security. MSCI provides investors globally with ESG indexes designed to facilitate clients’ integration of ESG considerations into their investment process. The indexes use a best-in-class approach by only selecting companies that have the highest MSCI ESG Ratings. The MSCI ACWI ESG Leaders Index is a capitalization weighted index that provides exposure to companies with high Environmental, Social and Governance (ESG) performance relative to their sector peers. MSCI ACWI ESG Leaders Index consists of large and mid-cap companies across 23 Developed Markets and 24 Emerging Markets countries. The MSCI Europe SRI Index includes large and mid-cap stocks across 15 Developed Markets countries in Europe. The index is a capitalization weighted index that provides exposure to companies with outstanding Environmental, Social and Governance (ESG) ratings and excludes companies whose products have negative social or environmental impacts. The Index is designed for investors seeking a diversified Socially Responsible Investment (SRI) benchmark comprised of companies with strong sustainability profiles while avoiding companies incompatible with values screens.